For vehicles lifted 2 to 3". Maxtrac Suspension has designed a line of affordable and reliable Twin-tube Shocks that are a perfect solution when you need to use a modified length shock after altering your ride height. 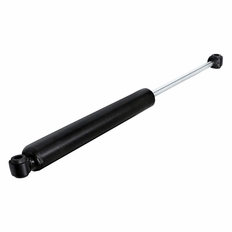 Manufactured using a gas pressurized twin-tube design, the MaxTrac Shock has a larger diameter piston to provide better dampening and rebound when compared to oe shocks. Engineered with pre-set damping, MaxTrac Shocks will provide more than capable handling during both normal and performance driving situations.